A very strong par 4. 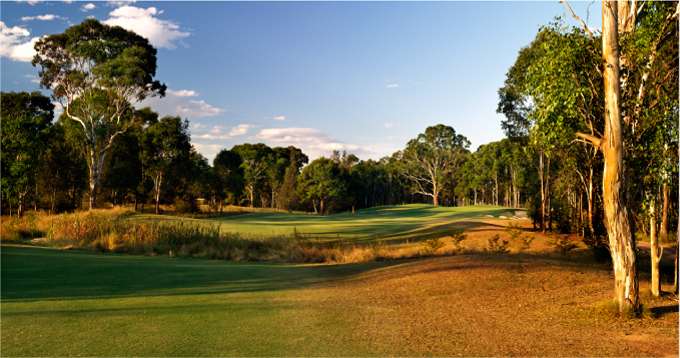 Accuracy is required off the tee to the narrow fairway through the trees. 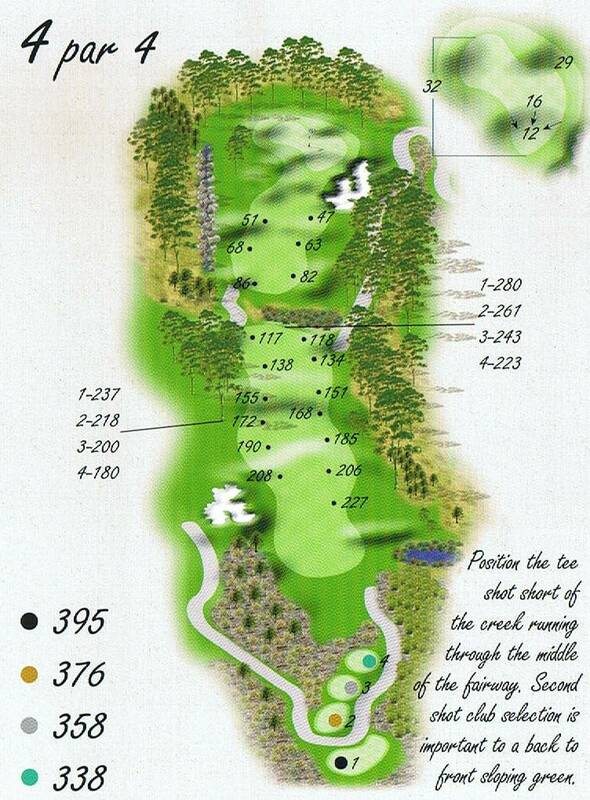 Bunkers short right and deep grassy hollows short left of the green will put a premium on the long iron approach shot.